For him, Seoul is the beginning. 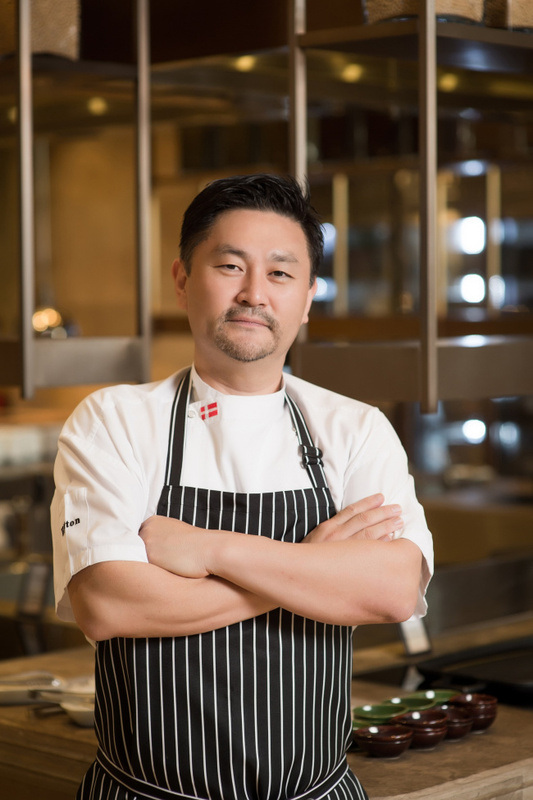 Groenholm, a Danish national, has decided to return to the beginning, joining Millennium Seoul Hilton as its executive chef. The chef has traveled the world, working for various hotels. But for now, he is settled in Korea, working with the upscale hotel at Namsan, in the center of Seoul. Groenholm has a clear reason for wanting to stay in Korea: He was born here. But when he was four years old, he was found at a bus stop and soon adopted by a family in Denmark. Though the cook is relatively new to the country of his birth, he feels at home in Korea. He recalls the odd feeling he felt at the nation’s gateway. After arriving at the Incheon International Airport, the he was swept up by emotions, sensing that he belonged in the picture. The chef plans to explore his birth country, especially through food. While he specializes in French cuisine and western dishes, he would like to know more about local food. The Danish national also aims to learn Korean. “When I arrived in Denmark as a child, I spoke fluent Korean. It’s somewhere inside me,” he said. He expects that he can learn Korean with his precious little son, from his wife who is Korean. Not forgetting his Scandinavian background, the chef would like to introduce Nordic dishes to Seoul as well. He hopes to present the menus through special sessions at the hotel. Groenholm is aware of the possible criticism associated with hiring foreign nationals as executive chefs. The local hotel culinary scene has been criticized for hiring foreigners who cannot properly communicate with the kitchen staff.